“Display Driver Stopped Responding and Has Recovered” Error message appear on Windows 10/8.1/8/7/XP when user run any installed application such as games or a video application. The system will display such type of error when Timeout Detection and Recovery (TDR) feature detects that the graphics card (GPU) unable to respond within a period of time and reinitializes it with the Windows Display Driver Model (WDDM). This type of error message appears when the display driver gets outdated, misplaced, corrupted or broken. Sometimes due to the old video card is responsible for such error, it happens because it gets completely incompatible for your Windows OS. Running too many applications at the same time in the background may also trigger this error. When it takes extra time than acceptable for GPU to display graphics to your display or monitor. How to Fix Display Driver Stopped Responding and Has Recovered Error on Windows 10/8.1/8? 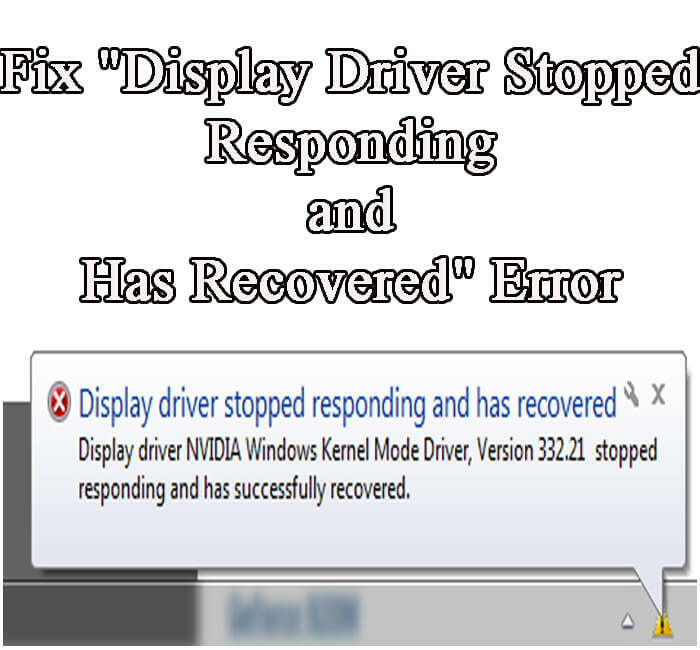 Below 3 useful solutions are given to fix “display driver has stopped working and has recovered error”. 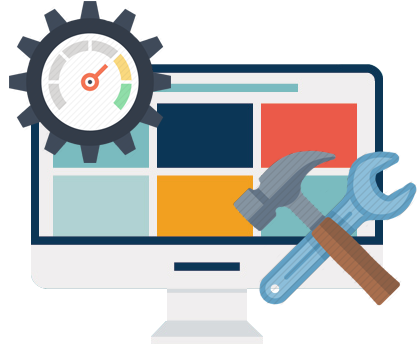 It may be possible that the issue would be aroused by one or more causes so that you must try all the given methods till this issue is completely fixed. These methods are applicable to all Windows OS 64-bit or 32-bit, including Windows 10, Windows 8.1, Windows 8. 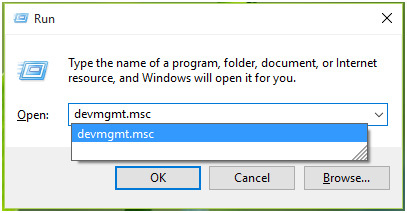 Step 1: Press WIN + R key to open run window, type devmgmt.msc in it and press Enter key to open Device Manager snap-in. Step 2: Here, click on the > present along with the Display adapters. It will expand the Display adaptor option. 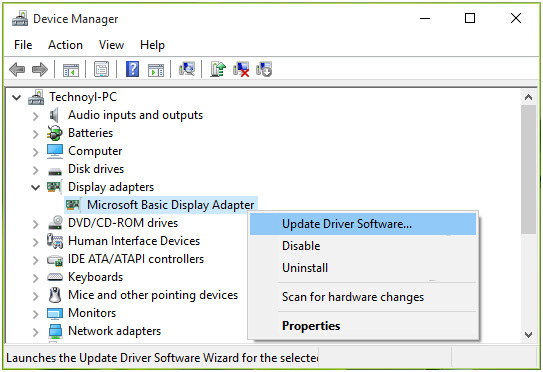 Right click on available devices in this section and click Update Driver Software. Step 3: In the next Windows select Browse my computer for driver software. 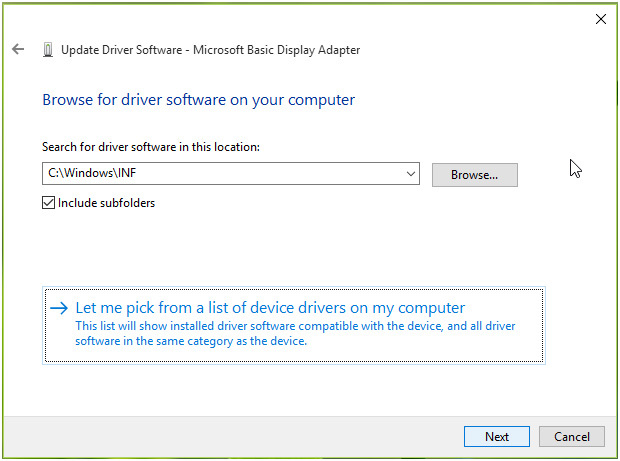 Step 4: After it, click on the Let me pick from a list of device drivers on my computer as given in below image. 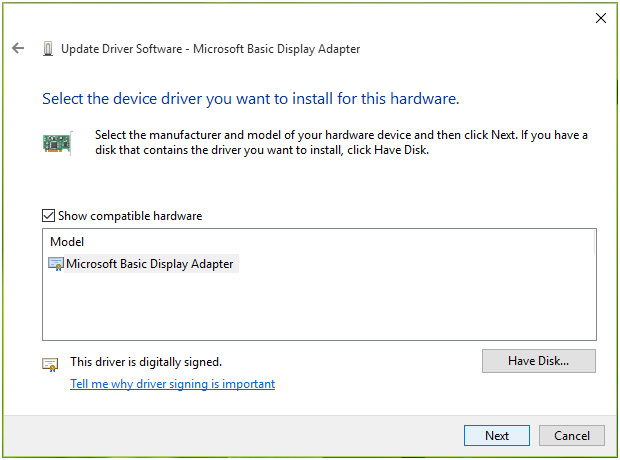 Step 5: In the next Window “Select the device driver you want to install for this hardware” section, tick out on Show compatible hardware option. 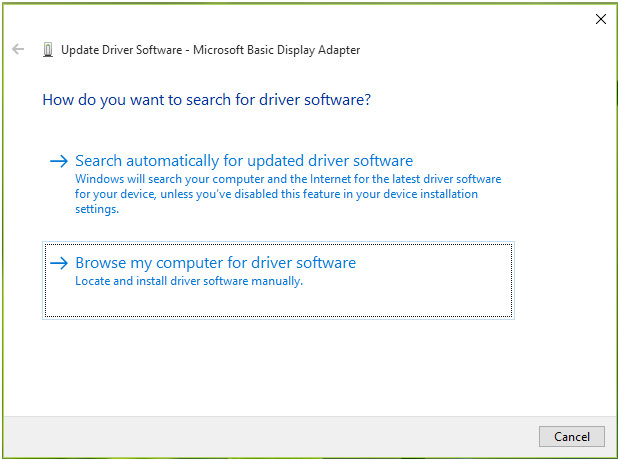 After it from the drivers displayed by this Window, choose a driver that is previously installed (it is for reinstalling). Click Next. 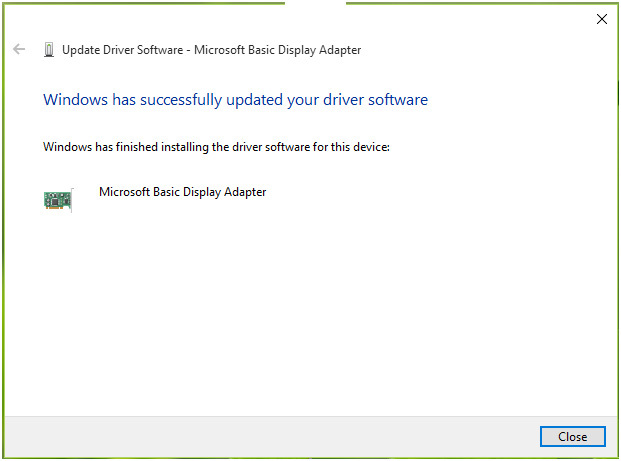 Step6: At last you will be notified about the successful installation of driver. Click Close and reboot the system. Execution of too many apps like browser windows, email messages, video players, or game apps can generate performance issues. So that it is suggested to close all the unnecessary apps. For enhanced performance, you have to adjust visual effects. Click on the Start button -> choose Control Panel-> type “Performance Information and Tools” in the search box->choose to Adjust visual effects-> Visual Effects-> Adjust for best performance and OK to save. By increasing the value of the registry corresponding to Timeout Detection and Recovery we will try to increase the GPU processing time. 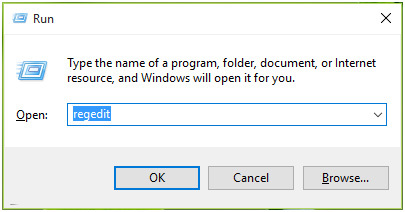 Step 1: Press Win + R to open run window and write regedit in to open Registry Editor Click OK. Step 4: Double click on it to modify it. 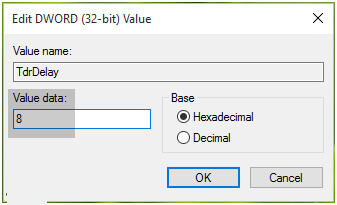 Set theValue data of DWORD to 8. Click OK. Close the Registry Editor and restart. If you are using a Windows system or laptop then you have to maintain it in the manner to run it flawlessly. 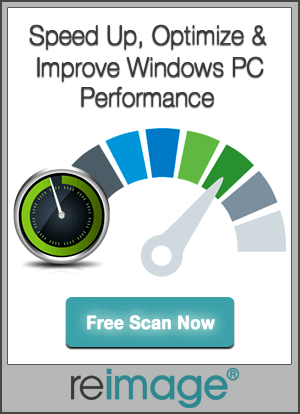 Managing windows system manually is little difficult and risky too, so that it is recommended to us a professional Windows scanner tool. This app is able to deal with all types of issue present on the Windows system.